Ahhh, the annual testimony . . . and a story based mainly on English sources for a change. Thanks to VPK.name for picking up the Vzglyad piece which printed a few lines on what Director of National Intelligence James Clapper’s unclassified Worldwide Threat Assessment testimony to the SSCI had to say about the state of the Russian military. Otherwise, this would have been overlooked. A few preliminaries . 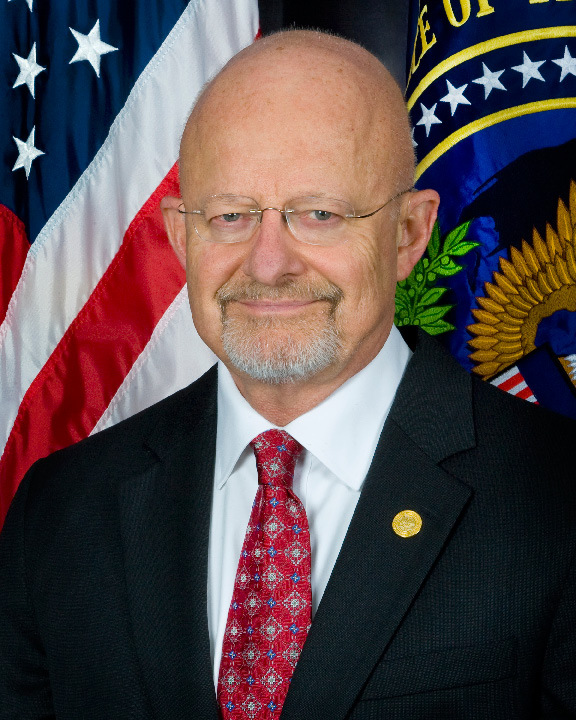 . . Clapper is a tall septuagenarian reared professionally in the Cold War who manages to keep on climbing the career ladder. His bulbous dome once prompted underlings to dub him “the Martian” (although it’s known he’s actually from Remulak). But analysts liked him (at least long ago) because he really seemed to listen to them. Now on to his testimony, or statement for the record. Clapper didn’t write it, nor did his staff. It’s carefully crafted compromise language melding the views of CIA analysts mostly, and DIA analysts and others a little. One guesses the text hasn’t changed too much from previous years. A comparison of changes (especially adverbs) from year to year might be more revealing than what the document says. Thanks to the Washington Post for printing the DNI’s sanitized testimony. Unlike the impression you’d get from the Russian media, Clapper’s statement isn’t all about the Russian threat. It definitely isn’t 25 years ago when the USSR was front and center throughout. Russia appears first on page 7 as a state-based cyber threat and page 8 as an economic espionage threat. Then it retires to page 20 where a mainline discussion of the country finally begins. But that’s just the problem, isn’t it? Putin can’t change his fragile system of rule without toppling the entire shaky edifice. The reader’s also told (shockingly) that Putin’s unlikely to be an “agent of liberalization,” will continue protecting his wealthy cronies, and will try to placate the masses (though Russia’s moderate economic growth rates won’t support this). This straightline type of assessment is easy and safe to stick with, especially for one year. Continuity is always the baseline scenario with a sufficiently short timeframe. Good thing the document didn’t have to judge whether Putin will complete his third term in office, the conditions under which he could be forced out, or who might take his place. One might have even settled for the simple conclusion (that many Russians are making): Putin’s regime has exhausted its potential after 12+ years. It’s unlikely to last another six, let alone another 12, even if it’s impossible to foresee exactly what Putin’s undoing will be. Maybe the real answers are in the classified testimony. No, not likely. One could say deteriorated for nearly two decades, and there are many Russian observers who believe it can’t be revived. Surprising nothing’s said about buying weapons and arms technologies abroad. Again, perhaps in the secret version. But at least this testimony doesn’t assume the military and OPK will automatically and absolutely get every ruble and every system talked about in the context of GPV 2011-2020. The third paragraph tries to say what all this means. Russia will have the military might to dominate the post-Soviet space (already largely true for the past 20 years) but not to threaten NATO collectively. Which raises an interesting point. Is this document insinuating Moscow might try to threaten one NATO member individually to test the alliance’s reaction and cohesion? But, in the end, the text says until improvements in conventional capabilities really reach Russian troops, the Kremlin will continue looking to its nuclear forces to offset its weaknesses vis-a-vis potential opponents with stronger militaries. You can read on yourself for more on Central Asia, the Caucasus, Ukraine, and Belarus. Does it matter what old soldiers think? It doesn’t seem to right now. Maybe they’re just bitter old dudes whose time has passed. But they certainly provide interesting and frank commentary on the state of the OPK, the Armed Forces, and Serdyukov’s reforms at odds with official pronouncements from the Kremlin, White House, and Defense Ministry. Former 58th Army Commander, retired General-Lieutenant Viktor Sobolev wrote recently for Pravda. He reacted to a program on the army on NTV from October 9. It apparently wasn’t posted on NTV’s site. 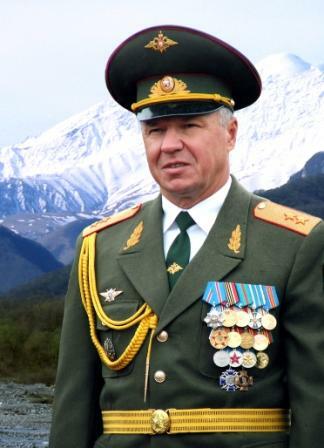 The ex-general-lieutenant is critical of just about everyone: Serdyukov and his “effective” managers, people who haven’t served in the army, former First Deputy Defense Minister Popovkin who wanted to buy more arms abroad, his successor Sukhorukov who dares insist that defense enterprises substantiate their prices, independent defense commentators like Litovkin and Pukhov, interest-hungry banks, corrupt middlemen. He points only to Tactical Missile Armaments Corporation General Director Boris Obnosov in a positive light for recognizing that other countries won’t sell Russia their best weaponry. Still, Sobolev’s under a bit of a misimpression thinking that Moscow is really buying lots abroad. In fact, a cynical observer might conclude the whole situation over the last year was designed to let Putin be the champion of the domestic defense sector vs. Medvedev the Westernizer. But we digress . . .
For Sobolev, this all sums to an OPK with a broken GOZ, that’s chronically underfinanced and losing its capability to produce modern arms and equipment. Again, the cynic might say this was already lost a number of years ago. Sobolev’s no crank, and he’s not to be taken lightly. Born and schooled in southern Russia, he probably has combat experience whereas the current General Staff Chief and Ground Troops CINC probably don’t. 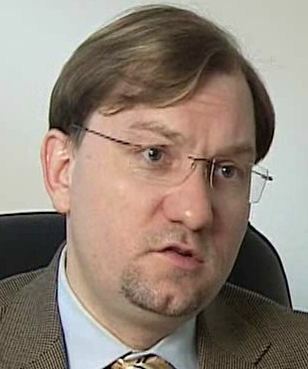 Sobolev served as Deputy Commander of the OGV(s) in Chechnya in 2002, before taking over the NCMD’s 58th Army in 2003. He ended his career as the chief military advisor in Russia’s Indian embassy in late 2010. A more recent photo shows him looking just about as fit in retirement at age 61. One wonders if a conservative like Sobolev realizes how much his thinking coincides with that of more liberal critics he seems to detest.